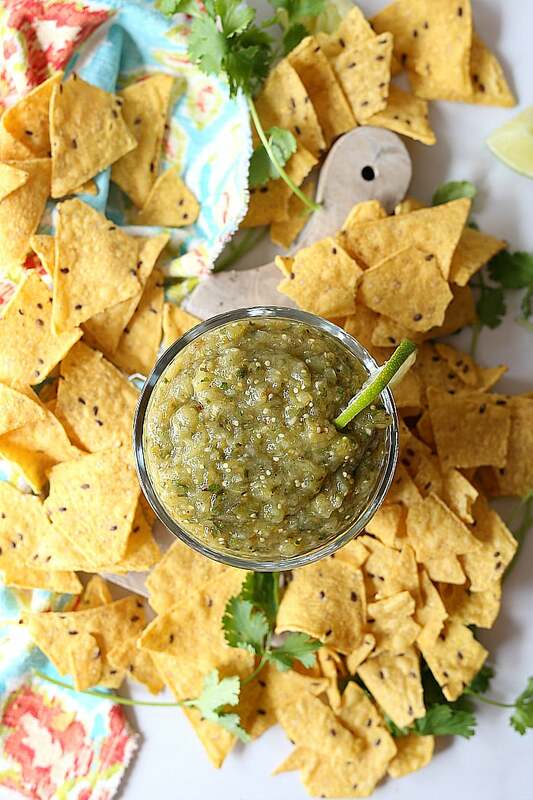 Roasted tomatillo salsa verde (green salsa) is bursting with Mexican flavors! Enjoy this puree of blistering tomatillos as a dip with chips or sauce spread on top of your favorite enchiladas and burritos! This easy authentic Mexican dish is one of our family favorites and is full of incredible flavor! 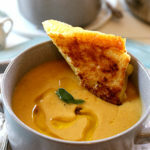 It is delicious served either warm or chilled and is sure to please any crowd! There is no shame in eating the entire bowl of salsa verde! Well, maybe except for the fact that then you would be consuming an entire 1 pound of tomatillos in one sitting. 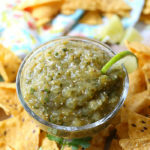 Tomatillo salsa verde can either be made with fresh tomatillos or by roasting them first to bring out a bit of natural sweetness and earthy flavors. I prefer roasting them, which really takes as little as 20-30 minutes extra but well worth the time. 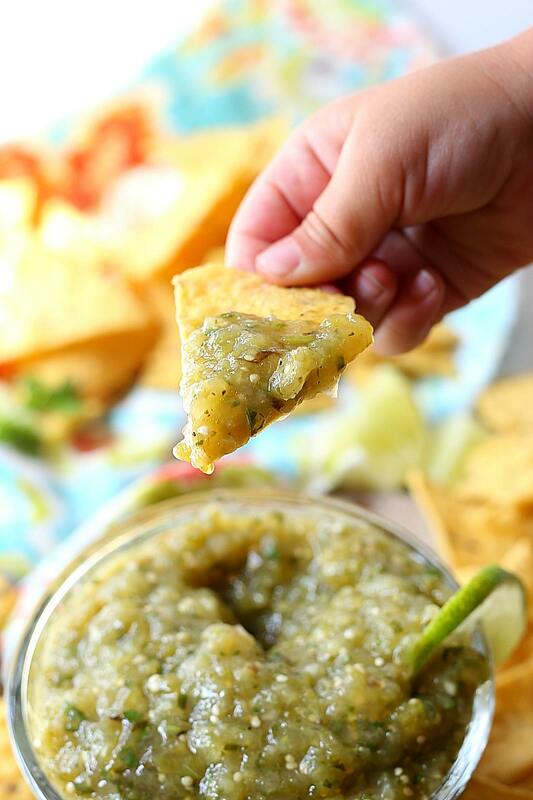 This roasted tomatillo salsa recipe I make all the time and lately have been making it what seems like twice a week to add to whatever Mexican meal I am serving. We ate this batch last night for dinner on top of smothered burritos. Then this afternoon I had my niece over for lunch and she topped it on her quesadilla and I had some over an egg white omelet (so good!). She said, “Wow, this is really good! A lot of “goodness” going on here – can you tell? 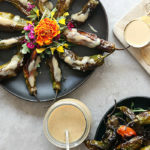 What to eat with green tomatillo salsa verde? First roast the tomatillos, jalapeno and poblano green chili in the oven for about 20-30 minutes or until the tomatoes start to brown. Let them cool then puree all the ingredients together in a food processor. Why make salsa at home instead of store-bought? Store-bought salsa is sometimes watered down and has icky preservatives in it. For maximum salsa flavor, make it homemade and use seasonal vegetables. 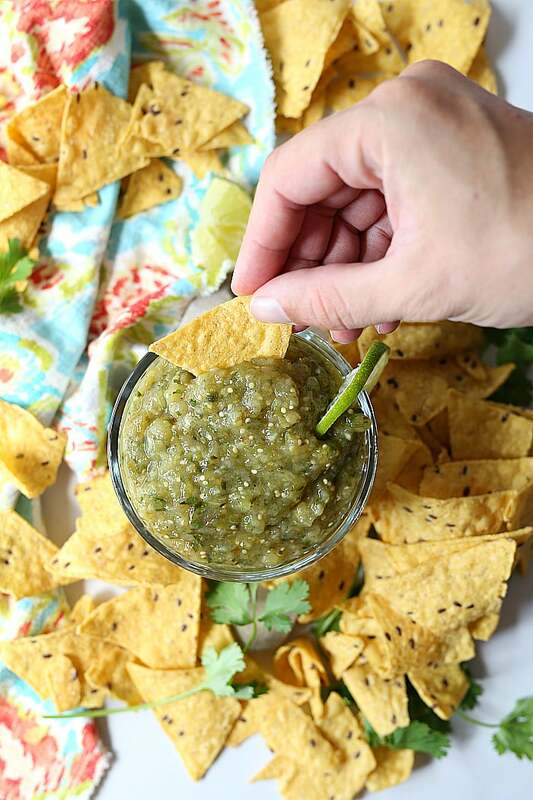 Fresh is always best and this roasted tomatillo salsa verde is really easy to make, way more delicious than from the grocery store, and a crowd-pleasing appetizer, topping or snack! 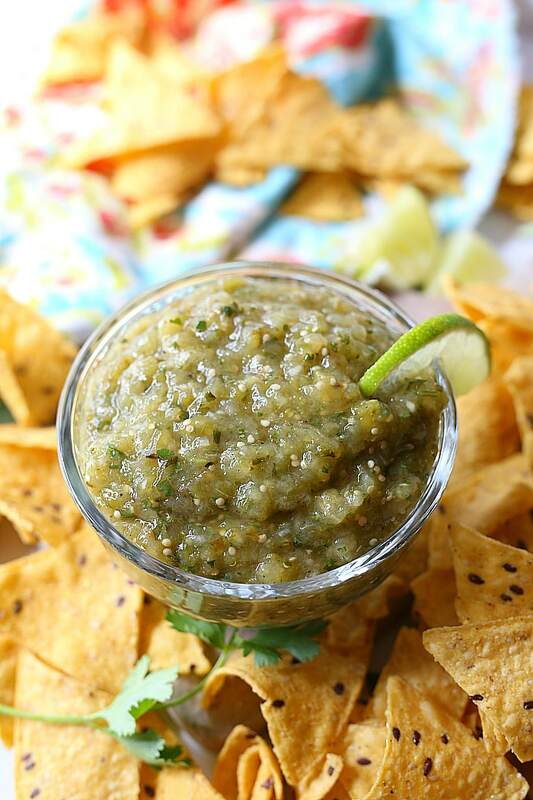 Roasted tomatillo salsa verde (green salsa) is bursting with Mexican flavors! Enjoy this puree of blistering tomatillos as a dip with chips or spread on top of your favorite enchiladas and burritos! 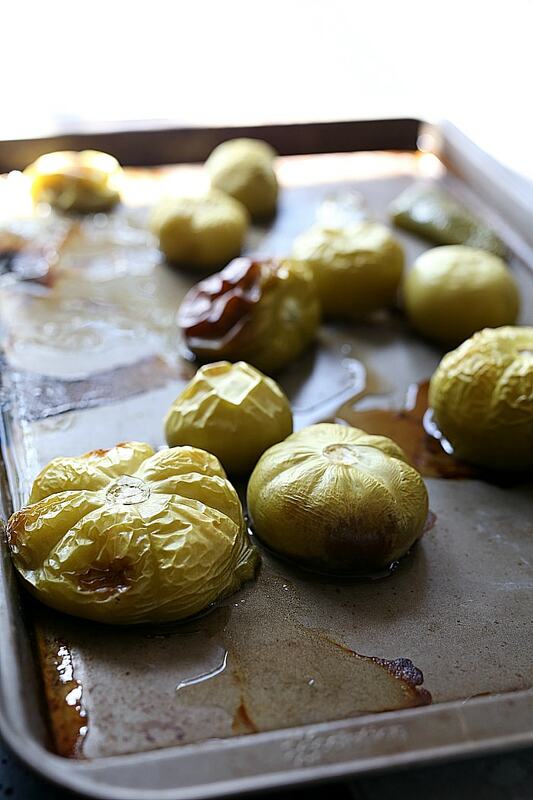 Preheat the oven to 400 degrees F. On a baking pan add the tomatillos, poblano chili and jalapeno. Bake for 20-30 minutes until slightly browned. Let the vegetables cool slightly before adding them to the food processor. In a food processor add the roasted vegetables, white onion, garlic, cilantro, lime juice, salt, pepper and chili powder. Pulse until blended to desired texture (longer for smoother and less time for a chunkier salsa). Serve with chips or on your favorite Mexican dishes. If you make it, please tag me on Instagram and social media at @delightfulmomfood and #delightfulmomfood – I love to see what you are making!